This Luxurious card is made from cream matte finish art board embossed with pretty floral designs like a frame around the edges of the card. In the centre of the card sits a beautiful inscription of the couple's names in deep brown ink that elevates the beauty card. 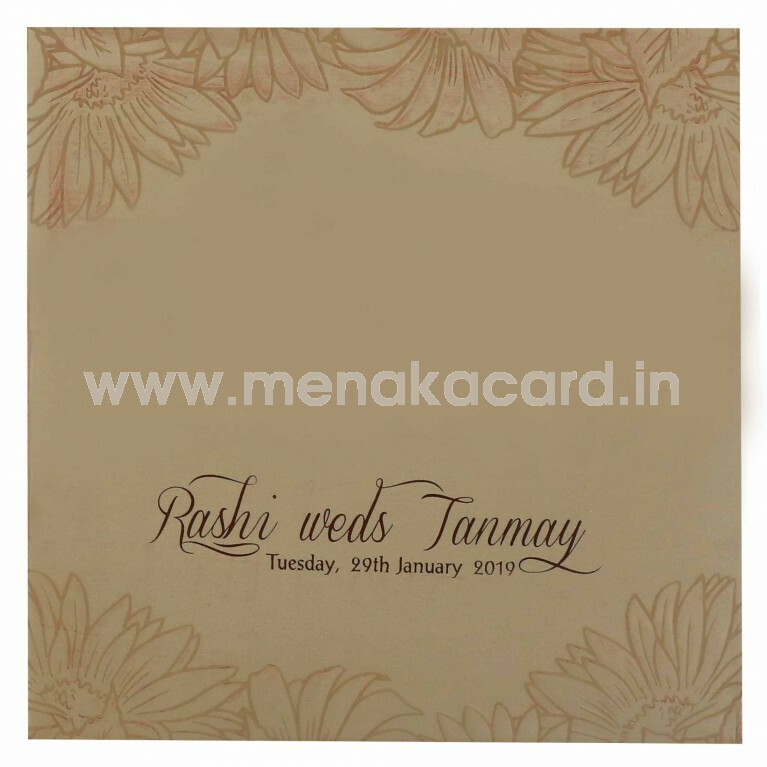 The 2 default off-white inserts of this card printed with brown ink sit in a small flap at the bottom of the card. The envelope of the card matches the front ink design and pattern. 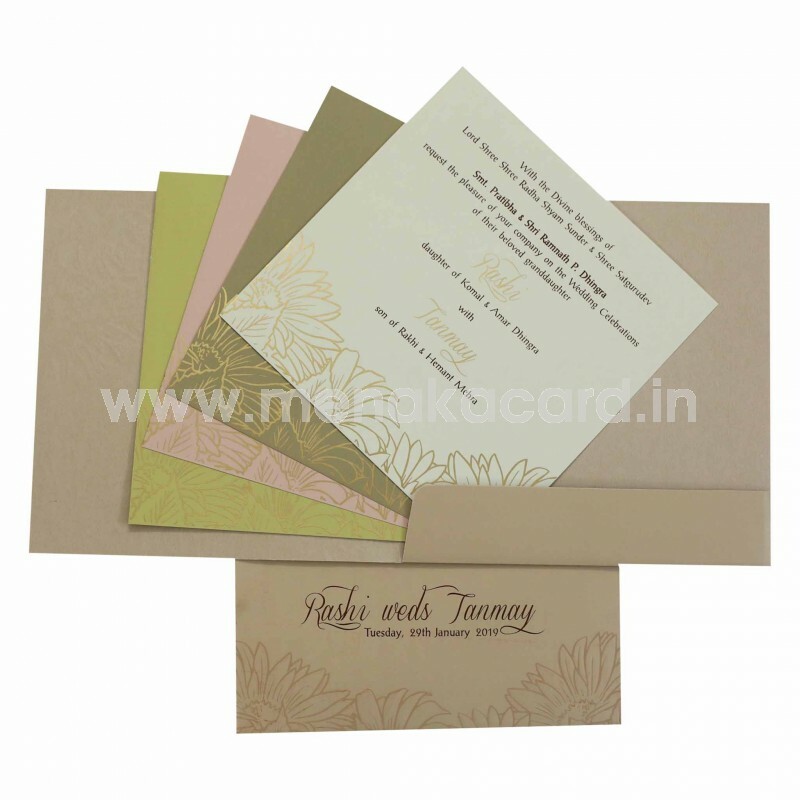 This card can be used for Hindu Weddings and other functions.